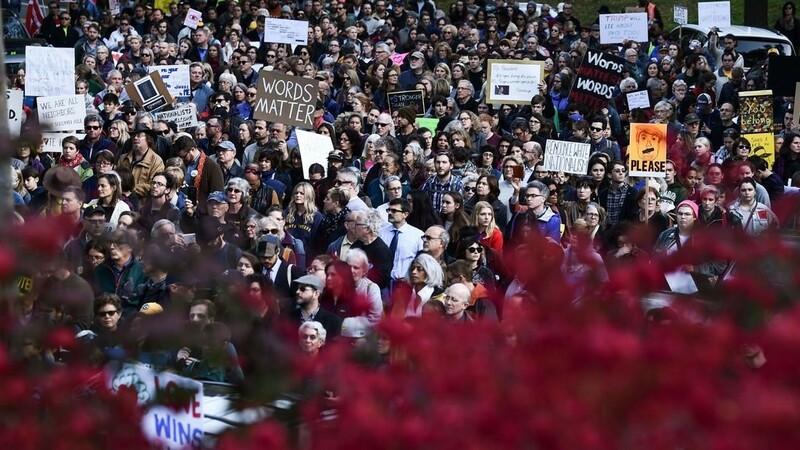 Progressive Jewish activists protesting against Donald Trump say they have seen a surge of support in the wake of the Pittsburgh synagogue shooting. 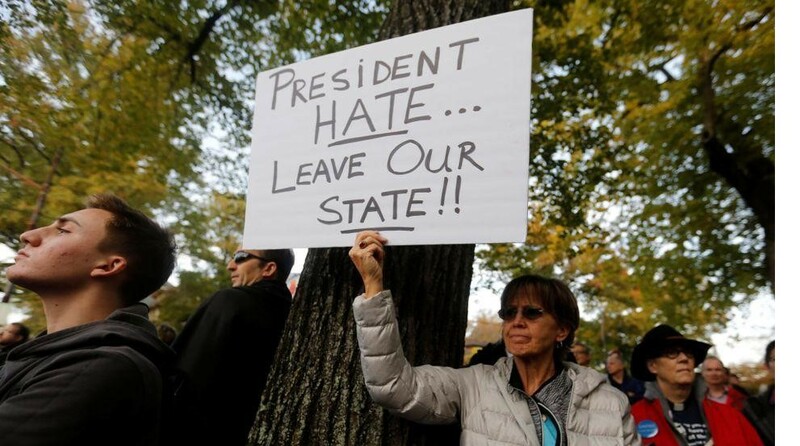 As thousands of people protested against Donald Trump’s visit to Pittsburgh on Tuesday, activist Rafael Shimunov told Sky News that many more were contacting Jewish organisations to join in political campaigns against the far right. “I’ve never seen this amount of response,” he said, explaining that people were joining efforts to canvas with door knocking, phoning voters and attending protests in the run-up to the midterm elections. Mr Shimunov, who works with left-wing organisations including The Jewish Vote and If Not Now, which campaigns against support for the Israeli occupation, said even staunch Trump supporters had questioned their views in the wake of the shooting at the Tree of Life synagogue. “I’ve had relatives who disowned me during the Trump election calling me now, saying ‘What can we do? '” he said. Mr Shimunov has long feared that Donald Trump’s presidency might bring a wave of antisemitic hate and violence, as well as putting other minorities in danger. Following the Pittsburgh shooting, If Not Now was one of several groups to explicitly say that the blame for a rise in US antisemitism, and the shooting that sprung from it, lay at Mr Trump’s door. “The blood spilled yesterday is on Trump’s hands,” the group wrote in a statement. They are also among a number of groups taking action to make those views heard. Earlier this week in Pittsburgh, the local branch of progressive group Bend The Arc wrote an open letter to Donald Trump saying he would not be welcome in the city unless he denounced white nationalism.